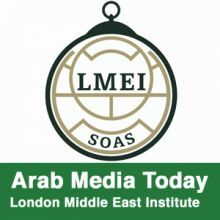 The London Middle East Institute (LMEI) draws upon the resources of London and SOAS to provide teaching, training, research, publication, consultancy, outreach and other services related to the Middle East. It serves as a neutral forum for the consideration of issues concerning that region and helps to create links between individuals and institutions with academic, commercial, diplomatic, media or other specialisations. With its own professional staff of Middle East experts, the LMEI is further strengthened by its academic membership - the largest concentration of Middle Eastern expertise in any institution in Europe.